I’ve always dreamed of someday visiting Europe. My best friend, Angel, lived in Italy for two years and I vicariously experienced Italy and other nearby countries through her Facebook photos. Someday maybe I’ll get over there! For the time being though, I’ll have to be satisfied looking at pictures and drinking Barista Prima Italian Roast coffee. It’s one of the best cups of coffee that I’ve had in awhile! It’s a dark roast and is on the stronger side which I prefer. It’s a great coffee to start your day! I use cream in mine to soften the strength a little. It reminds me of the coffee my neighbour used to make when we lived in Edmonton. She was from Europe and they always ended each meal with some coffee. Barista Prima Coffeehouse has four varieties of coffee. All are dark roast and European. 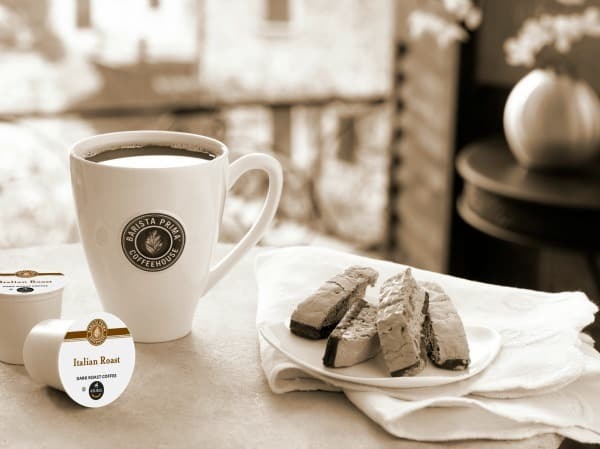 Italian Roast (Dark Roast): Robust, bold with ripe fruit and berry notes. Roasted in the Italian tradition of coffee house brews. Also comes in Decaf. Colombia (Medium-Dark Roast): Wondrously bright, bold fruit notes and a distinctive hint of walnut. High altitude treasure from a land of legendary coffee. French Roast (Darkest Roast): An intensely bold and daringly dark brew. Sweet, smoky love song to the cafes of Paris. House Blend (Medium-Dark Roast): Well-rounded, toasted-nut finish with subtle hints of bittersweet chocolate. Classically balanced, lively splash of citrus. Which one are you most interested in trying? Since I’ve already tried the Italian Roast, I think the next one I will pick up is French Roast. I’ll close my eyes and imagine myself transplanted to the streets of Paris! 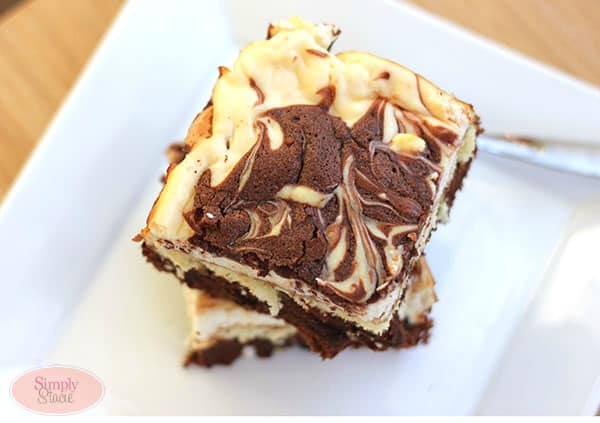 I also tried a new dessert thanks to Chef Maureen Joyce and Barista Prima Coffeehouse: Tiramisu Brownies. I’ve never made Tiramisu before. In fact, I’ve never even eaten it! I’ve always wanted to try it though. Green Mountain Coffee sent me some of the ingredients to make the brownies including the ladyfingers. Stores here don’t carry them (small town)! I picked up a few of the cold ingredients like the cheeses and dark rum. I wanted to make it as close to the recipe as I could so I could experience it. I think next time though I’ll add a few extras in and see how that changes up the taste! It was to die for! Ohmygosh I’ve been missing out all these years! It was rich and sweet and I could taste a hint of the coffee too. It goes perfectly with a cup of Italian Roast coffee. If you are looking for a dessert to impress, try this recipe! You can pick up some Barista Prima Coffeehouse K-cup packs at GreenMountainCoffee.com of course. It’s also available in national retailers like Walmart and Bed, Bath & Beyond. This dessert is to die for! Rich and sweet with a hint of coffee flavor. Yum! In a large bowl, melt the chocolate. Stir until smooth and leave it to cool. Heat the oven to 350°F. Line a 13″ x 9″ baking pan with parchment paper. Add chocolate to a mixing bowl with the paddle attachment on. Beat in the butter followed by 1 cup of sugar and the 4 eggs and 4 egg whites. Add the coffee extract followed by the flour. Mix on low speed until just combined. Pour the batter into the prepared baking pan minus 1 cup of the brownie batter. Lay the ladyfingers upside down on top of the batter, and push down slightly. 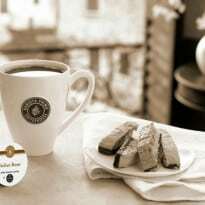 Brew 1 Barista Prima Coffeehouse Italian Roast K-Cup pack and combine the hot coffee and dark rum. Using a pastry brush, carefully brush the Barista Prima Coffeehouse coffee & rum mixture over the ladyfingers until they are saturated. In another bowl combine the mascarpone cheese, cream cheese, and 1/4 cup of sugar, 4 egg whites and vanilla extract. Spread topping over ladyfingers over ladyfingers. 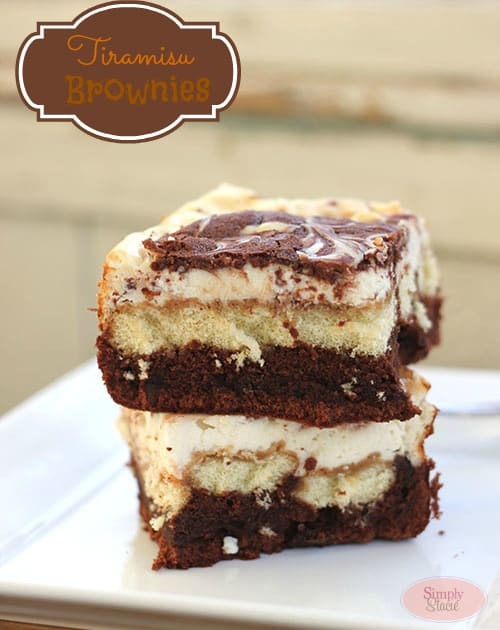 Place spoonful of brownie batter on top of the creamy filling and swirl it lightly with a toothpick or knife. Optional: add wild card ingredients as you wish. My husband loves Tiramisu but I have been too afraid to make one. I think I can handle the brownie version though!! Thanks for the recipe. Pinned. Mmmm, those brownies look so decadent and delicious! Thanks so much for sharing at Inspire Me Wednesday. Featuring you in next week’s issue. I love anything tiramisu! I’ll have to try this recipe! Visiting from Party Palooza link party. 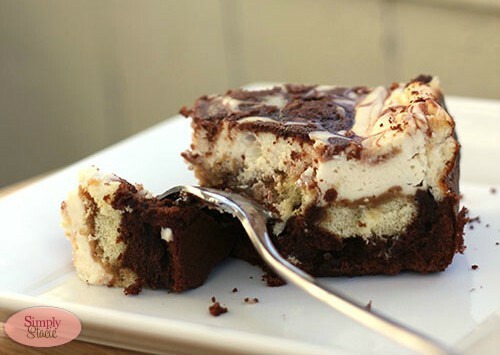 I like the layers of these brownies, they must taste delicious. I would love for you to stop by and share this and other recipes with us over at Sweet and Savoury Sunday. Have a great day! O my goodness! These look incredibly sinful, gorgeous and decadent!! Thank you so much for sharing! Visiting from Inspire me Monday! WOW, they look amazing! 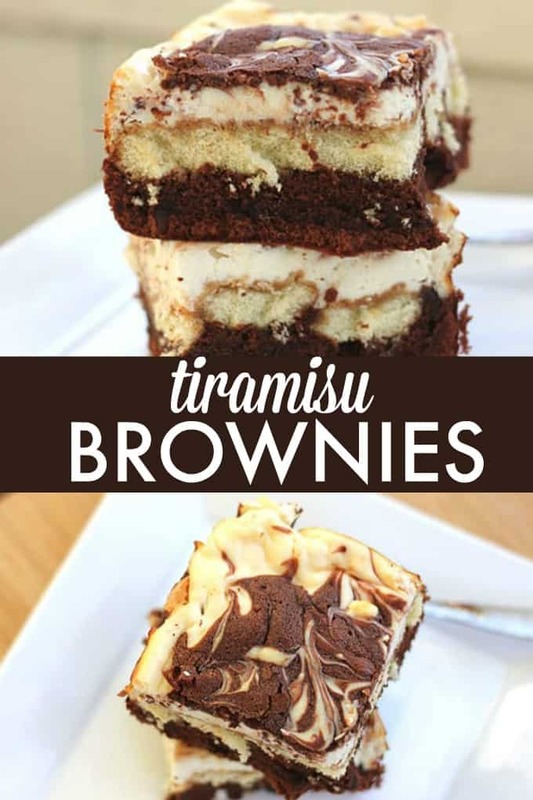 I love tiramisu…got to try these! Pinning! Stopping by from BOTW.